Saint Timothy Theological Institute & Seminary, Inc.
Saint Timothy Theological Institute & Seminary, Inc. exists to advance the kingdom of the Lord Jesus Christ by equipping godly men & women to be apostles, prophets, evangelists, pastors & teachers. We train students for excellence in service to Christ in strategic fields of Christian ministry through independent & self-paced study. This is to be accomplished through an educational program and an environment of spiritual fellowship and relationships which emphasize unreserved commitment to the worship of God, submission to the authority of the Scriptures, a life of personal holiness, the priority of the local church, and the mission of penetrating the world with the Truth. Saint Timothy Theological Institute & Seminary, Inc. is an independent Christian college which offers no secular degrees through online and distance education. The courses offered are geared towards those who cannot afford to pay thousands of dollars. Saint Timothy Theological Institute & Seminary,Inc. offers an inexpensive education for the average person who wants to earn a christian degree through distance education..
Providing a high-quality, affordable christian education is one of the most important things that we can provide working class adults. 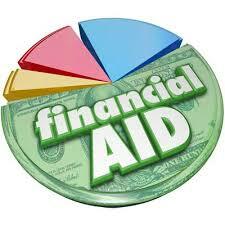 For more Financial Aid Information click on the link to contact Student Services. © 2018- 2022 Saint Timothy Theological Institute & Seminary, Inc.
Website maintained by The Urban Experience.